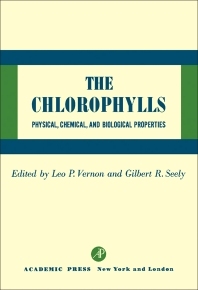 The Chlorophylls reviews developments in study of chlorophylls, and at the same time summarizes the state of knowledge in the more established areas of the physics, chemistry, and biology of chlorophylls. The book is organized into four sections. The first section deals with the chlorophylls as chemical entities, and treats their isolation, analysis, chemistry, and synthesis. The second concerns chlorophylls in real and colloidal solution and in the solid state in vitro, and includes the effects of aggregation on visible, infrared, and NMR spectral properties. The third section treats the biosynthesis, organization, and properties of chlorophylls in the plant and bacterial cell, and the fourth is concerned with the photochemical and photophysical behavior of chlorophylls in vitro and in vivo. It is hoped that this work will help those investigating selected aspects of chlorophyll to keep abreast of other methods and approaches, and will provide the interested scientist with a modern, conceptually organized treatment of the subject.